2006, Saddleback Educational Publishing, Inc. 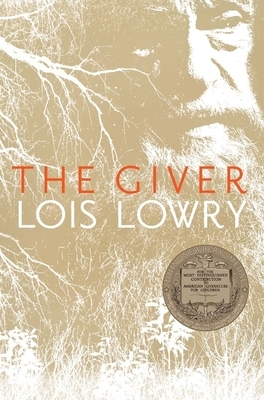 I read THE GIVER, part one, and couldn't put the book down!! I followed this with the other 3 books of The Giver series and highly recommend the book(s) to all readers. I understand the movie is coming out in the summer of 2014. READ THE BOOK FIRST & enjoy the movie later. When I first got the book in the mail I laughed and how small it was, It's definatly one you can finish in a day if you have the time. Once I started reading it I couldn't put it down. It's a great story. I felt the ending was left as a "you decide what happens ending" and I like that. Very well written. It was suggested to me to read this book by a young adult man. He said that it changed his perception of how life works. I enjoyed it as it is a different sort of book that reminds one of what might be or might have been. Almost like a fantasy read..but more believable. It is one of those books whose story pops into my head weeks later..so I would say that indicates a good book. The story helps to validate emotions, love and relationships, also the value of life. I am an older woman so I think many ages would value this story. Read this for the first time with students in sixth grade...we could not stop reading it...the students hurried with their assignment to get to the reading time. Its a wonderful read and great new consept from a writer...we could not imagine the ending.